a. Power cycle the monitor (turn OFF and then ON) and wait for a minute or two to see if screen lights up. b. Wiggle the mouse or press ENTER on the keyboard and watch the display screen. c. Check the power supply to the monitor and the cables connecting the monitor to the computer. d. Check that there is a connection between the keyboard and the computer. If the keyboard is not connected or if it has just been hosed, or if the computer restart has not initialized the keyboard before it stopped and gave you the blank screen, then your none of the keys work! e. After the above checks, restart the computer and see if it is okay. 2. A component in the computer (such as a graphics card) may have overheated. In older computers, the fans were very powerful (remember the loud computers of yesteryears?). Now the manufacturers assume that computers sit in air-conditioned comfort all day. So they have reduced the power of these fans that are used to cool the hardware. Follow these procedures to see if that is the problem. a. Shut down your computer and monitor. c. After a pause of 15 - 30 minutes, restart the monitor and then the computer. d. If it was a problem of overheating, the computer screen should now show the system booting normally. 3. If you have just installed the computer and nothing seems to work, it could a bad monitor or a low power supply. a. Check if the monitor light is green, orange, yellow or red. Get the manual for the monitor to find out what these colors mean. b. Swap the monitor with another if you have an extra one at home. c. Insert a music CD into its drive and check if you can hear audio. This will only happen if the CD is set to Auto Run. If you can hear audio, it means the computer is running ok.
d. Find a different power supply outlet (or power strip) for the monitor and computer and try to reboot the computer again. 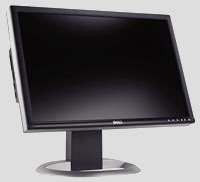 e. If the LCD screen on the monitor is dead, then it's impossible to see if the computer is booting up or to what point it has booted up. f. Replace your monitor if it's defective or continue to Step 4 if you still have problems. a. Uninstall all recently added hardware. d. Remove all external peripherals (printer, cameras, scanners, etc) and connections until the computer returns to normal. 5. Bad video/graphics card. At this point, if your computer is still under warranty, its time to call for help. If not, you can get a computer geek to come to your house (it is cheaper to take your computer to their store) or try to fix the problem yourself. a. Is AGP/PCI video card compatible with your operating system? If you are experienced with opening up the chassis and resetting cards, reseat the video card, and try again. b. Check the pins on the cable connectors and see that they are not bent or broken. c. Never attempt to open the monitor. Turn on the monitor and try to reboot the computer again. If this doesn't work, go to Step 6. 6. BIOS - the Binary Operating System may be corrupted - Use of Safe Mode to boot system. a. Try starting the computer in the safe mode. Restart the computer and see the point to which it boots up before you get the blank screen. b. Press F8 as the computer starts to boot. (For HP and Compaq computers with VISTA, use F10, For HP Pavilions with XP or earlier version of OS, use F1). Use the arrow keys to select the safe mode and press Enter. Remember that NUM LOCK should be OFF for the arrow keys to function. c. If Windows launches before you can choose the safe mode, restart computer and go to step a.
e. You can choose "Last known good configuration" to go back to the last known safe shutdown state. f. If you have added any drivers or corrupted any files the last time you used the computer, the safe mode will help you get back to the state before the changes, when the computer was running smoothly. a. If the recovery console is already installed on the system, one of the options you see while the system is initially booting up will be "Microsoft Windows Recovery Console". If it's not already on the system, it can also be accessed through the network during "command prompt with network" option in safe mode. c. Recovery console helps to Enable or disable services. If Windows informs us during boot up that a file is corrupted or missing, then we can use the Recovery console to copy files from a CD to the computer to repair the corrupted or missing information. 8. Corrupted Operating System. - Try an upgrade of the current Operating System. c. Continue as detailed in http://support.microsoft.com/kb/315341/EN-US/ to complete the upgrade. e. Alternately, to re-install the OS, when the message "Press any key to boot from CD" appears, tap the spacebar. g. On the License screen, press F8 to agree to the license agreement. h. Select your current installation and press R to repair the installation. a. Turn the computer on and listen to see if the fan is running. a. Open the chassis. Turn the computer on and verify that the CPU fan and the power supply and the fan are running. If not, make sure that the connections are tight and replace the power supply. b. Shutdown the computer and let it cool down. Unplug all cables from power sources. c. Closely examine the mother board and see that it is NOT in contact with the computer case. e. Remove the CPU and re-install it. f. Reset your BIOS to the default configuration following the motherboard's manual instructions. h. If none of the above works, its time to see professional help! j. Make sure that you place the computer in a well ventilated room to avoid overheating.